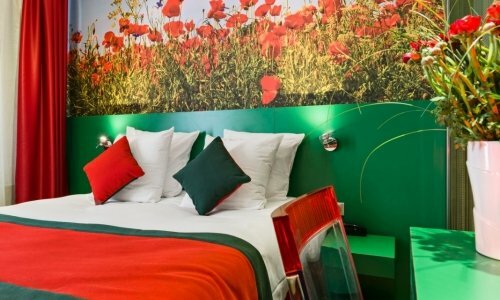 The Les Jardins de Montmartre's rooms, a 3 stars hotel near the Sacrée Coeur Make the most of this green haven in the heart of Paris just 100m from Jules Joffrin metro station. 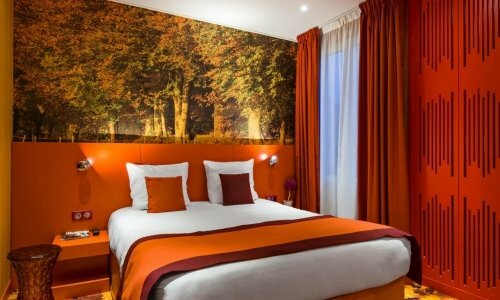 Les Jardins de Montmartre hotel provides comfortable all season rooms. 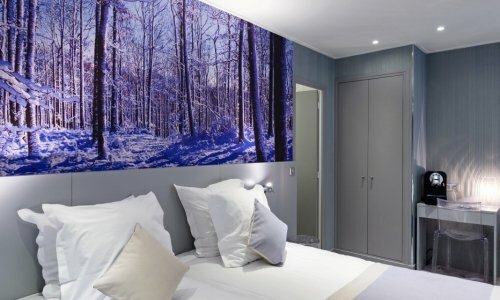 Choose a room based on your favourite time of year: Winter, Spring, Summer or Autumn. Experience a hotel with a difference at the all comfort Les Jardins de Montmartre hotel: all bookings include afternoon tea served daily from 5pm – 7pm (hot drinks, fruit juice, cakes and pastries), free high-speed Wi-Fi connection, private safe and tourist tax.